Christine here. I’ve been working on pulling together my class prep worksheets for the Valley Forge Spring Braid In at the end of May. 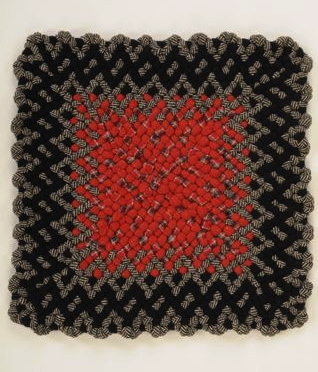 One of the classes that I’m teaching is the Continuous Square. 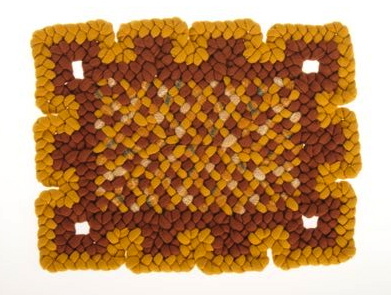 This trivet is made of 6 rows (the first row being nothing more than a LRL) out of medium weight wool: heavier than Dorr, lighter than coat weight. It took me an evening to braid and lace, so it’s do-able over a 2-day class. It covers the skills of braiding triple corners, counting loops between corners, alternating corners in stacked rows, color changes, blunt ending, and hanging loop. Usually I like to lace a butted row over a blunt ending, but I wanted to keep the class limited to just what they can hope to accomplish in 2 hours X 2 days, and butting adds a whole other element of complexity (the butting class is later in the weekend). If students want to make something bigger, they can skip the hanging loop and blunt ending, and keep going! I’ll have some chair-pad-sized options for the class. 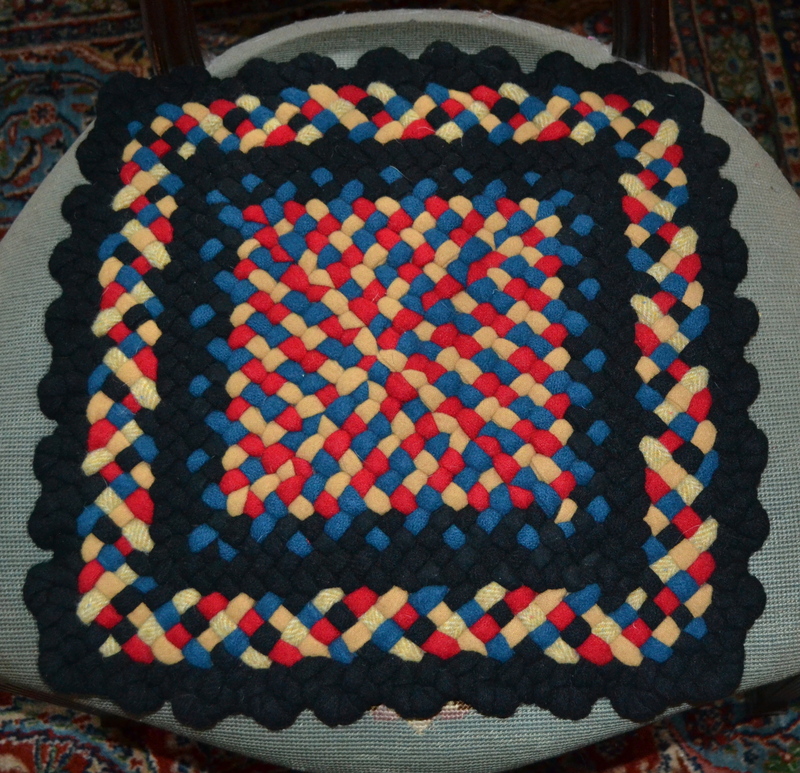 The chair pad above I borrowed back from my mother; it features a continuous black diamond border that then is finished with a picot edge that completes the final row of the diamond shape (the black crossover loop of the picots makes the final point of the diamond). 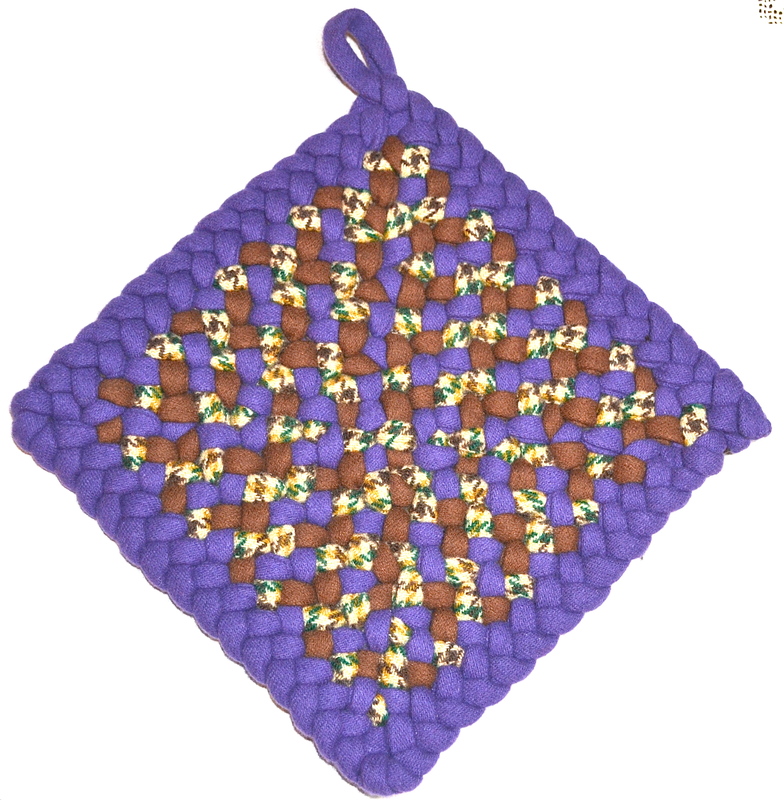 Continuous Braided Square in center, with multistrand and picot borders. The above chair pad was made to show how to make multistrand borders with corners for a class a couple years ago. 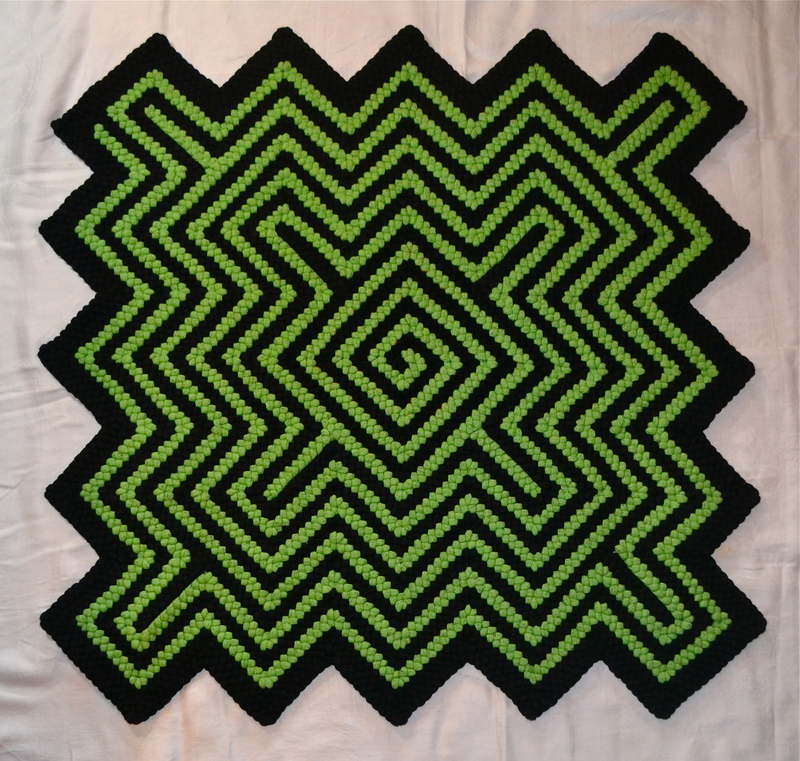 I think the border above is one of my all time favorite borders for braided squares or rectangles; it reminds me of the crenellations or battlements at the tops of castles where medieval knights shot arrows down on marauding hordes.